Experience a refreshing alternative in the exotic world of chai. We've crafted this blend with carefully selected China Chun Mee green tea for its health-affirming attributes. A lively note of ginger and the subtle fragrance of cardamom round off the full-bodied flavor of this captivating tea. So when you're in the mood for something a little different enjoy this exquisite experience only available through a warm cup of chai. 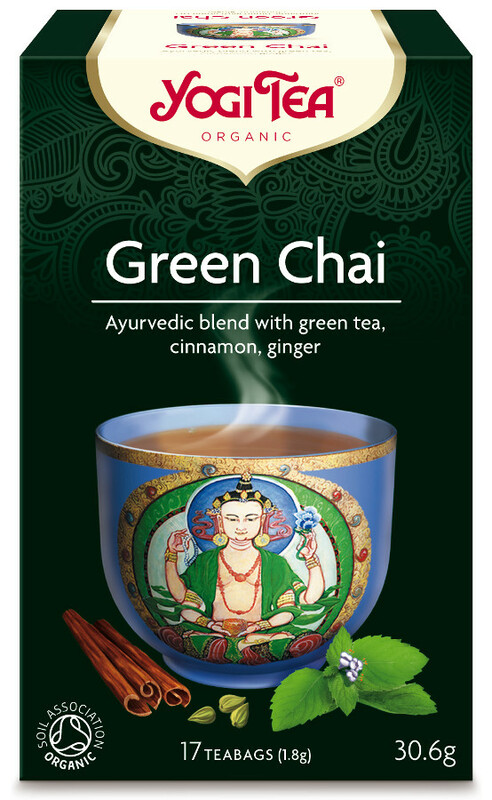 To enjoy the rich flavor of our Chai Green allow to steep for 5 minutes or longer. For a stronger effect use 2 tea bags. Add your favorite sweetener and milk or milk substitute. 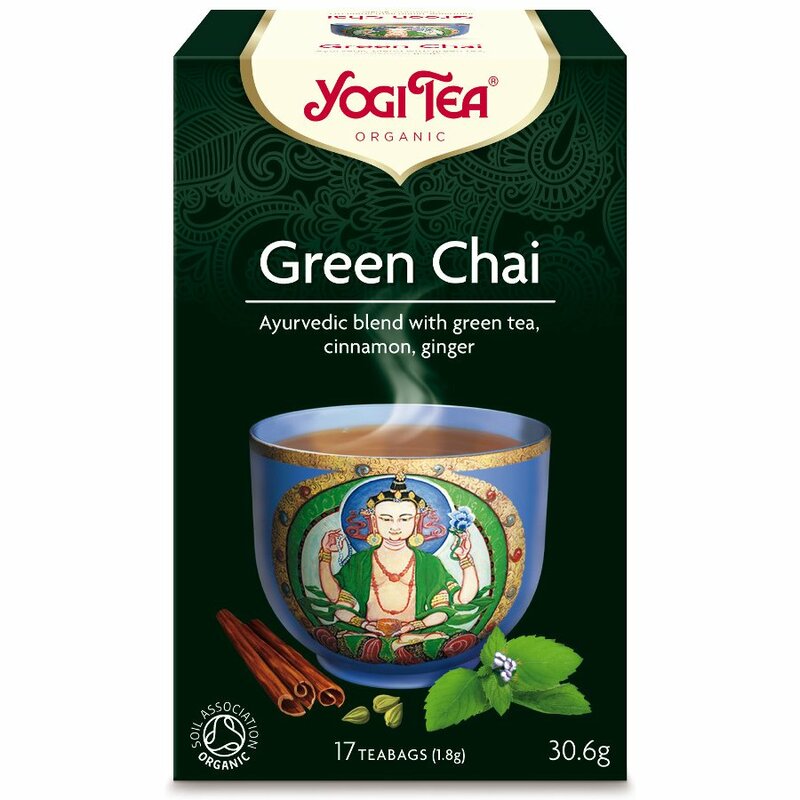 The Yogi Green Chai Tea x 17 bags product ethics are indicated below. To learn more about these product ethics and to see related products, follow the links below. There are currently no questions to display about Yogi Green Chai Tea x 17 bags.